Please enjoy the slide-show below, then scroll down to read and view more details. Smith & Smith Designs / loadsagoodstuff.com offer a range of very competetively priced SOLID PINE fitted kitchen units in a selection of styles and finishes. Each unit is hand-made in East Yorkshire by expert craftsmen. We can supply standard size units or make units to special sizes, so no "filler panels" need be used. 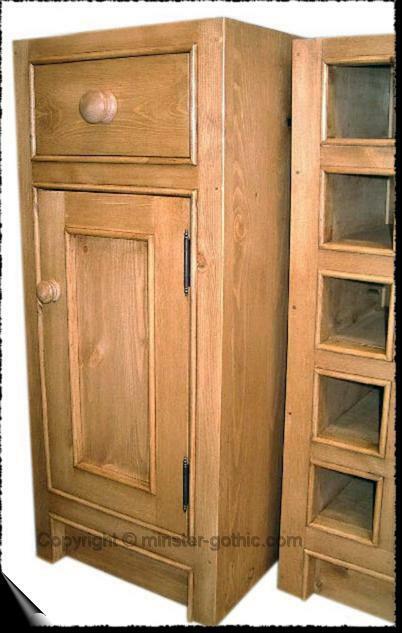 Work-tops can be supplied in Solid-Oak, Beech or Granite. The units can be supplied in a waxed finish, waterproof waxed finish, or a hand-painted finish. Or of course you can purchase unfinished for DIY finishing. 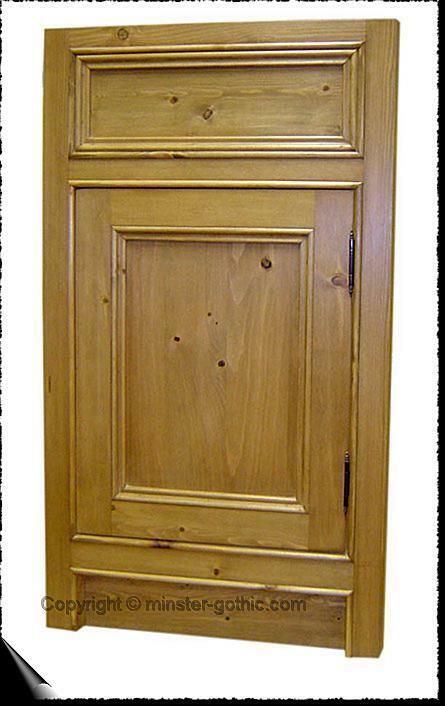 Of course we also offer a wide selection of handles, knobs and fittings in wood, metal and ceramic. All units come pre-assembled for easy self-fitting, or fitting can be arranged at a very reasonable charge. We're currently in the process of producing "room-set" style photos which will be added to the site as soon as they are available. In the meantime, please take a look at the individual photos below, showing 4 of the different ranges which are available. 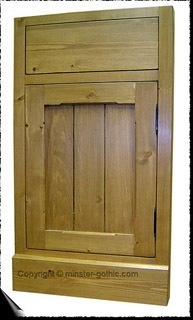 Solid Pine, hand-made, kitchen units made to your exact specifications.